Among the vehicles being recalled are some 400,000 Mercedes cars in Britain and many hundreds more in Germany, the spokesman told the DPA news agency. Berlin: German car maker Daimler is recalling more than a million vehicles, including Mercedes, due to a problem with the airbags, a company spokesman was quoted as saying Monday. 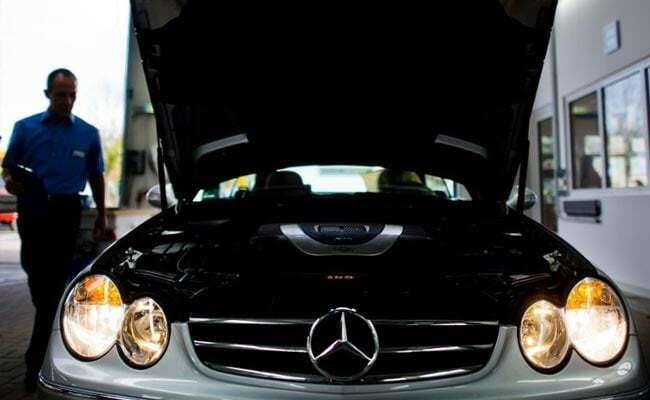 A Mercedes spokesman in the United States said 495,000 cars would be subject to the recall there. The source of the problem is a faulty cable which can trigger the airbags to inflate inadvertently. The product recall will begin in the coming weeks when the new component to fix the problem is available. In the UK, Mercedes-Benz announced the recall of 400,000 vehicles from across a range of models. A Mercedes spokesman said the notice concerned cars sold between November 2011 and July 2017. The spokesman added that the recall was not linked to Honda's recent recall of more than 245,000 vehicles in China over concerns about airbags made by troubled Japanese giant Takata.